Are you looking for an advertising medium that is both affordable and professional? If you’re a business owner and you’re ready for stepping up your brand, then a vehicle wrap is one of the most cost-affordable and creative methods for maximizing your company’s exposure. If you’re looking to advertise on your vehicle fleet, then Apple Graphics has exactly what you need. With a vehicle wrap from Apple Graphics, you can take your advertising on the road and reach a wider range of customers in your area. Our skilled technicians work to develop innovative fleet vehicle wraps for your business or for your franchise, using designs that are colorful, expressive, and simple to read. Your final product will be the result of our carefully selected design, applied by one of our masterful installers. Apple Graphics is dedicated to bringing you fleet vehicle wraps that will provide you with that edge in advertising that you’ve been seeking. 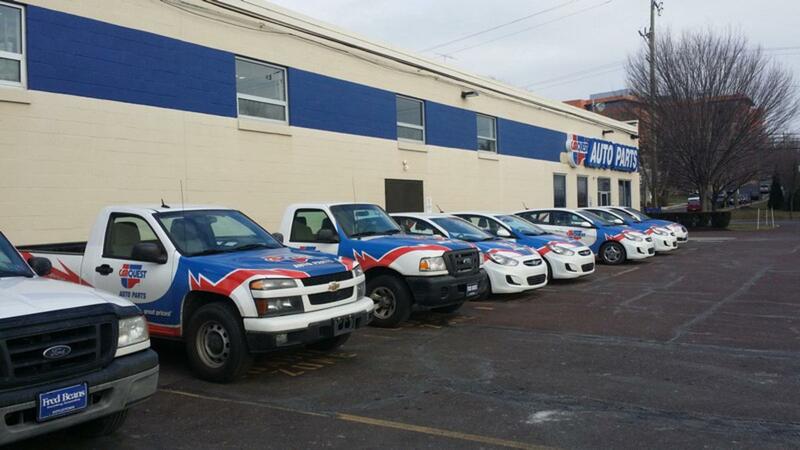 With fleet vehicle wraps and franchise wraps, you can bring your advertising to an entirely different level. Why not let the miles you drive promote your brand awareness? Our technicians are ready to speak with you about your needs and your budget, so that you can drive off with an eye-catching display. Our distinctive fleet wraps are a great way to advertise your business for a fraction of the cost of other advertising mediums. Turn your fleet into a mobile billboard with a wrap from Apple Graphics. Whether you are a small business owner, or the owner of a franchise, the wraps completed by our skilled technicians are sure to provide you with the exposure you require. Why not transform your vehicles into moving billboards so that you can connect with your customers on an entirely different level? At Apple Graphics, we’re ready to create something unique and personalized, just for you.